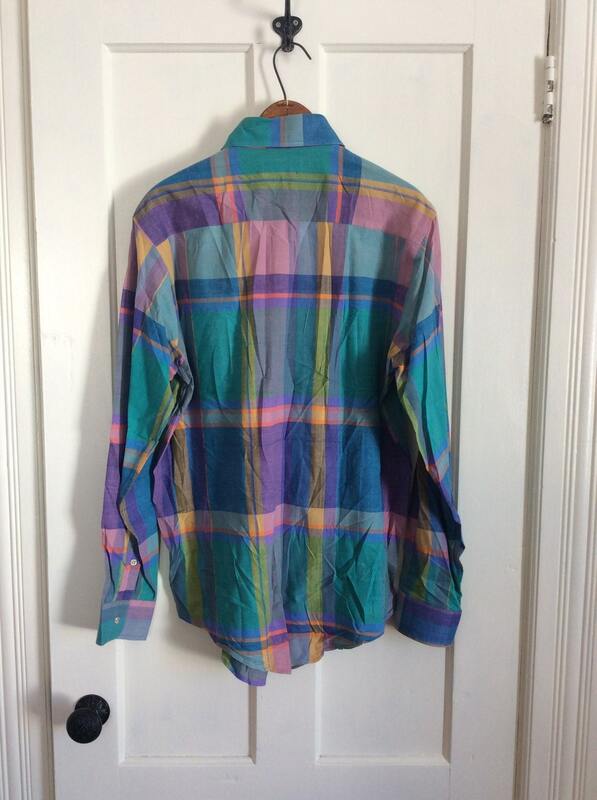 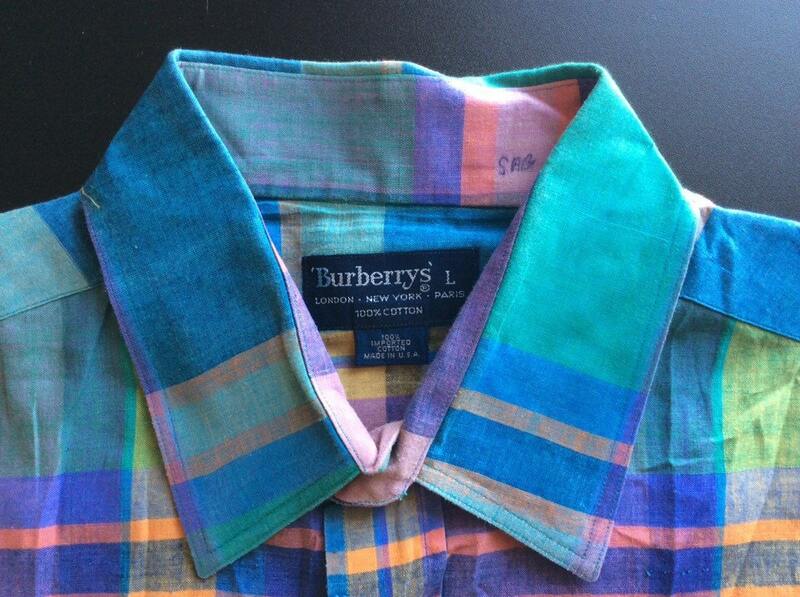 Here's a Burberry's madras shirt from the 1990's. 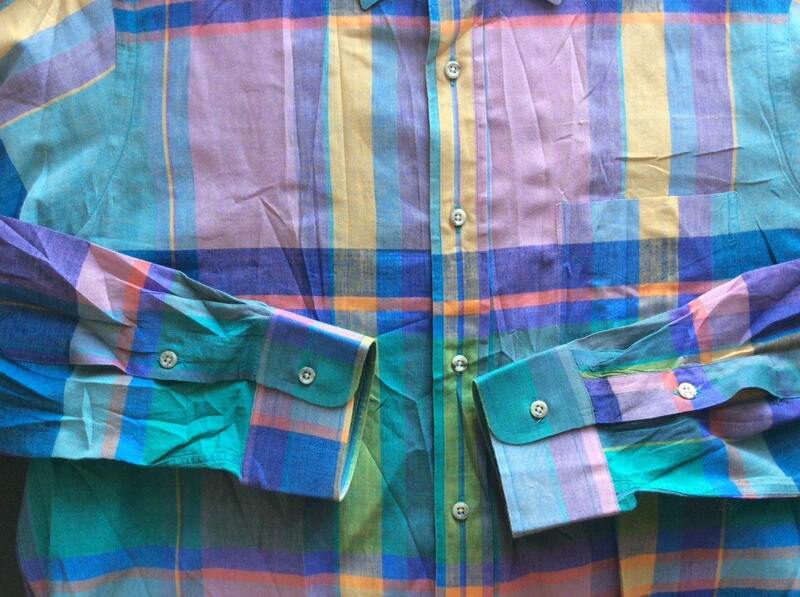 It's light weight, all cotton madras. 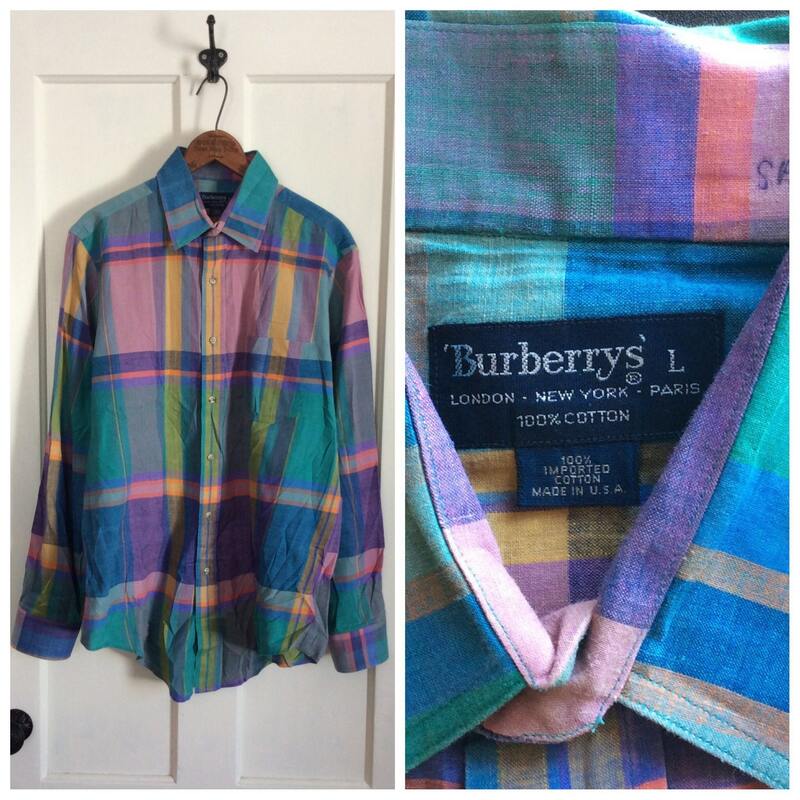 It has real shell buttons. 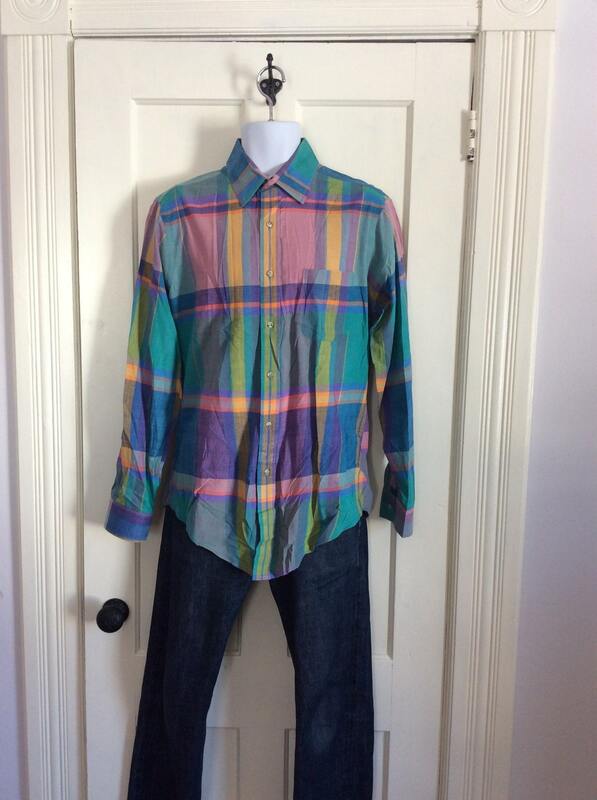 There's a name written inside the collar, otherwise it's in excellent, used condition, no damage.